In an escalation of violence, the black hat bandits have become more brazen at each robbery having threatened bank customers and tellers, recently holding a gun to a customer's head and jumping teller counters in attempts to gain access to bank vaults. The most recent robberies occurred on Wednesday, Feb. 18, 40 minutes apart, at two banks located in Northern Virginia. On Wednesday, Feb. 18, at approximately 3:12 pm, two subjects robbed a BB&T Bank located at 440 East Maple Ave. in Vienna. Subject one was described as a White male wearing all black with a black mask covering his face. Subject two was described as a Black male wearing all black with a black mask covering his face. Both subjects were carrying handguns. Forty minutes later, at 3:56 pm, the two subjects robbed the Wells Fargo Bank located at 47040 Community Plaza in Sterling. The subjects were again described as wearing black ski masks and all black clothing. One of the suspects put his gun to a customer's head while demanding everyone to "get down," and demanded money from a victim teller. In both robberies the subjects fled the banks with an undisclosed amount of money. They fled the scene in a late-model Nissan Altima, light in color, possibly silver or white, police said. Jan. 2, 2015: Bank of America in McLean, Va.
Jan. 16, 2015: BB&T in Fairfax, Va.
Jan. 20, 2015: Bank of America in Vienna, Va.
Jan. 30, 2015: Essex Bank in Arnold, Md. Feb. 5, 2015: SunTrust Bank in Waldorf, Md. 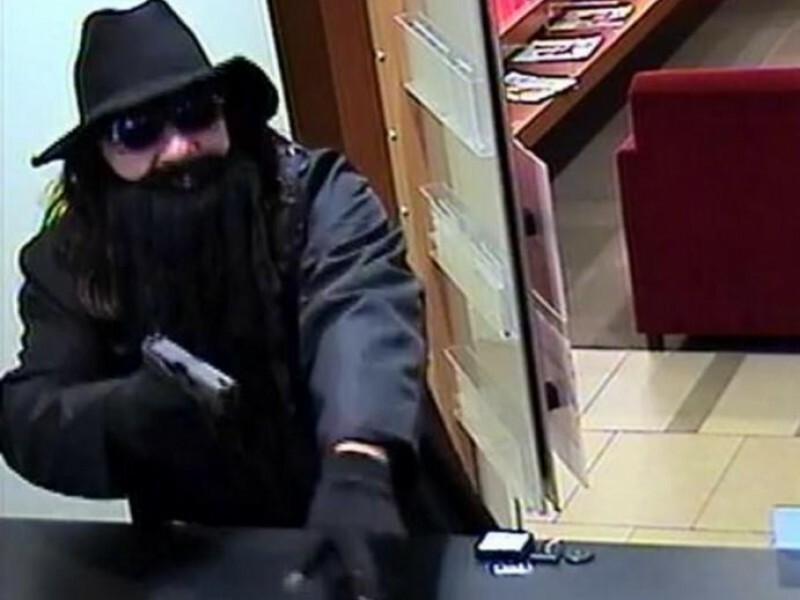 Feb. 18, 2015: BB&T in Vienna, Va.
Feb. 18, 2015: Wells Fargo in Sterling, Va.
During each robbery the black hat bandits have been described as carrying handguns and wearing winter coats, sunglasses, black hats (either a winter knit cap or wide brimmed hat) and facial disguises such as ski masks or a fake beard. The FBI Washington and Baltimore Field Offices along with law enforcement partners in Northern Virginia and Maryland are working with regional banks to ensure that their employees are aware of these potential robbers. If confronted, bank employees and customers are advised to do what is instructed and not take action against these violent subjects. As always, the FBI encourages the public to be good witnesses and to be observant in order to provide law enforcement with a clear description of the subjects and their actions. The FBI Washington and Baltimore Field Offices are asking the public's assistance in being alert to individuals who act suspicious in or around a bank and to report that activity to the bank security manager and to law enforcement. If a member of the public observes these robbers they are asked to contact their local FBI field office or submit a tip, which can be anonymous, to https://tips.fbi.gov. To review photos and descriptions of subjects who have robbed banks visit FBI's website www.bankrobbers.fbi.gov.